You’re getting married – congratulations! You’ve selected a group of men to stand by your side on this important day so now it’s time to buy some groomsmen gifts. If you and your groomsmen are proud nerds, shopping for the perfect groomsmen gifts is easy. Check out these nerdy gift ideas. 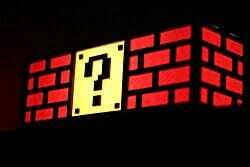 Any nerd worthy of the descriptor will have a special place in their heart for the original Nintendo gaming system. 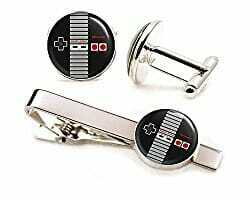 These NES cufflinks and tie-clip will be a perfect way to wear a little gamer nerd cred with their tux on your big day. They feature that classic NES game controller, one your groomsmen probably know like the back of their hands. These unique pieces can always be worn again after the big day and your groomsmen will probably always think of you and your wedding each time they wear them. These NES accessories provide a pretty perfect setup for some epic groomsmen pictures. If your bride agrees, you might even decide to wear some yourself on your big day. If you and your guys enjoy escape rooms or movies about heists, you’ll probably get a kick out of this safecracking puzzle. 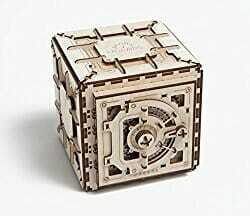 This handheld wooden puzzle is beautifully designed and nice to look at it so it will look nice on a shelf. Even though this looks pretty cool, it’s not about its decor value; it’s about its fun value. To open up this mini safe, you’ll need patience as you combine slow knob twists and careful listening to tumbler movements. This safe does have to be assembled before you can try to break in. For the groom with patience and time on his hands, you can assemble all of these safes in advance. Putting something enticing inside like some candy will encourage your groomsmen to crack the safe. This could make for a fun evening with a little friendly competition. Each of your groomsmen will try to crack their safe to see who can get in first. The winner will be deemed the defacto safecracker if you and your favorite guys ever decide to live out a real-life Oceans 11. A regular watch can be pretty boring for a nerd. A smartwatch is a techy way for a guy to nerd out. 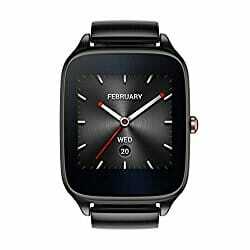 This watch is available in a few colors, all of which look great. The face of the watch is super scratch-resistant, made from Corning Gorilla Glass 3. The watch is IP67 water-resistant so it’s safe to wear in the shower and it can be submerged up to 1 meter in depth. The nerd factor comes in part from the ASUS FaceDesigner. The watch can look like a traditional and sophisticated chronograph or it can show a more modern flavor. The watch can be paired with your iOS or Android device so you can get notifications, respond to texts, and more. You can even use it as a remote control shutter for taking pictures and video with your phone. There is also a built-in pedometer function. No one likes charging their devices, so your nerdy groomsmen will be pumped about the HyperCharge technology that lets you charge the watch up to 60% within 15 minutes. This one probably won’t be okay for your groomsmen to wear on your wedding day unless circuit board green is one of your wedding colors! It’s a great tie for wearing to the office or any other situation that calls for a tie, especially if they’ll be around other nerds who will appreciate it. The tie really does look just like a circuit board. 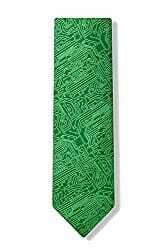 The computer science geek will definitely nerd out over this tie. The green is on the bright side so it’s sure to attract attention and be a fun conversation piece. Measuring 3.25 x 58.0 inches, the tie is 100% Microfiber. If you and your groomsmen are gamers, this headset is the perfect nerdy gift. 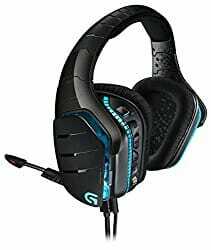 It will make gaming more enjoyable with its superior sound and its foldaway noise-canceling microphone. If nerding out over audio customization sounds like the kind of thing your groomsman would enjoy, he’ll definitely dig these headphones. The crisp 7.1 Dolby and DTS headphone surround sound sounds incredible right out of the box but the advanced Pro-G drivers and on-board equalizers allow for some serious customization to get it just how they want it. There is also more customization available with the ability to program three G-keys with your favorite game macros and the ability to choose from a number of lighting colors. It doesn’t matter what gaming platform he uses. These headphones will work with PCs, mobile devices, PS4s, the Xbox One, and more. You can even answer calls or listen to music while gaming. You definitely want to hire a professional DJ for your wedding but there’s no reason you and your groomsmen can’t play DJ for some fun. This handheld mixer lets you turn your phone or tablet into a fully-equipped audio station. This mixer features 2 stereo inputs with gain; bass, treble, and volume controls; Stereo output with RCA connectors; master level and LED meters; and independent cue on each channel with LED indication and channel cross-fader. Whether you use this with a DJ mixing app or just on its own, this lets you play around with sound and produce some high-quality audio. For the bro that loves comics and a good superhero blockbuster, you can’t go wrong with this fun take on the traditional bookend. A silhouette of a caped black superhero holds up books in mid-tilt. This is definitely not your typical bookend and it’s sure to be a conversation starter. 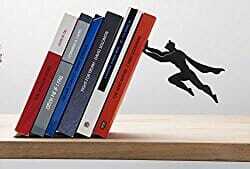 Artori Design makes a few variations on this superhero bookend, including one where your books appear to float on the wall while a superhero holds them up from below. To take this gift over the top, consider giving a book as well, especially if your nerdy groomsman doesn’t own enough books to make this bookend look its best. 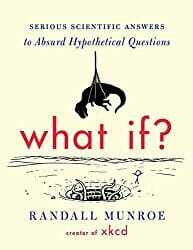 This book is a #1 bestseller in Science & Scientists Humor for good reason. It’s full of science nerd humor and plenty of legit science. This is a book that will make you laugh at the absurdity but it will also make you think and it will definitely teach even the biggest science nerd at least a few things. The book is a mix of text, sometimes dense in that delicious sciencey way and sometimes short and pithy, and stick figure-style cartoons. Some questions like “Would it be possible to get your teeth to such a cold temperature that they would shatter upon drinking a hot cup of coffee?” get a short, funny answer in the form of a cartoon. Others, like “What would happen if the Earth and all terrestrial objects suddenly stopped spinning, but the atmosphere retained its velocity?” get page after page of fascinating science. These questions are hypothetical in that many of them will never happen and could never happen but the answers are approached thoughtfully, with that open-minded scientific curiosity that every nerd understands. From gaming to watching movies, there’s just something about a bigger screen. Let your groomsmen experience the joy of the big screen from the comfort of their own homes with this handheld projector. 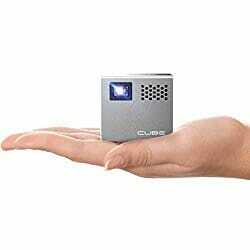 The small cube has its own speaker, internal battery, and SD card reader. In minutes, it can transform a wall in your home to a movie screen by displaying anything from your smartphone, tablet or laptop. The picture quality with a lot of projectors is a bit lacking but the display from this is stunningly clear and vibrant. The LED Lamp can last up to 20,000 hours. This comes with a flexible tripod that can help you set up the projector perfectly. The small size and weight make it really easy to take this with you anywhere you go. This gift combines things that will make most nerds happy: Star Wars and robots. This might be a toy but it is definitely one that adults will enjoy, especially nerdy adults. 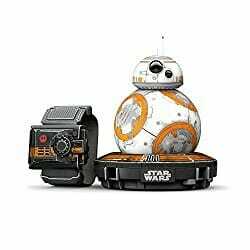 This BB-8 app-enabled Droid is solidly constructed and it can handle a few bumps. Using an iOS or Android device, you can use the app to control the robot almost like a remote-controlled car. For the true nerd, though, you’ll want to use the Force armband. This lets you control the robot through gestures like Force push, pull and drive. This gift is so fun you might have to worry about your groomsmen missing your wedding because they are too busy playing with their new toy. What if you could draw in 3D? A lot of nerds would probably get pretty excited about that idea. It’s more than a pipe dream; it’s a reality with the 3Doodler pen. This unique pen using plastic strands instead of ink and lets you draw in 3D. The plastic hardens quickly so you can create things similar to the way a 3D printer does. Your nerdy groomsmen can create 3D worlds, design functional tools, or make their favorite comic book characters come to life. Unfortunately, the ink for this pen will eventually run out and they’ll have to buy replacements but it comes with enough to get started. A lot of nerds grow up building models, whether cars or airplanes or something else. There’s something about the hands-on quality and the attention to detail that makes a nerd’s heart sing. A lot of nerds are also into space. 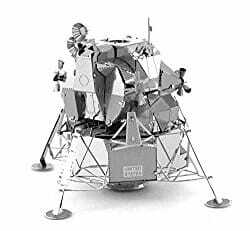 This fun model lets you build a small replica of the Apollo Lunar Module. It will take some time to build but in the end, you’ll have a really beautiful model that will look great on your desk or bookshelf. No glue or solder is needed to construct this but some needle nose pliers will really come in handy. There’s no reason why every part of a nerd’s life can’t be infused with their interests. This Star Trek-themed pizza cutter adds a little nerd cred to the kitchen. Designed to look just like the U.S.S. Enterprise NCC-1701 from Star Trek: The Original Series, this pizza cutter is an officially-licensed Star Trek collectible. This nerdy gift is yet another way to make even something as mundane as cooking super nerdy. 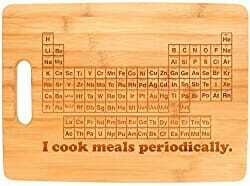 A lovely bamboo cutting board, this features the entire periodic table of the elements along with the punny statement “I cook meals periodically.” Cooking is a science that relies heavily on chemistry so this gift is really perfect, especially for the nerd who loves to cook. Because this is made from 100% natural bamboo, each cutting board will be unique but they are all beautifully made. This cutting board would also look nice hanging on a wall when not in use. Just like Mario and Luigi are a princess-saving, coin-collecting team, you and your groomsmen are there for each other. Before he stands up with you on your special day, give him a gift that will light up his world. This handmade lamp looks exactly like the brick coin bank from the original NES Super Mario game, especially when it is lit up. This lamp looks great on a table but it can also be hung on a wall. It’s a great reminder that even as we grow up and get married, it’s okay to still be a kid at heart and it’s okay to embrace your inner nerd. Do any of these nerdy gifts sound right for your groomsmen? Which gift would you have liked to receive? Are there any nerdy groomsmen gifts we missed that should definitely be on this list? Let us know in the comments!